You’re always serving and so are we. The Always Serving Project is an extension of the Operation BBQ Relief program serving Military, First Responders and the Fight on Hunger. Together we will connect, inspire and serve communities throughout the year with the Healing Power of BBQ. We aim to bring people together to eradicate hunger, addressing an issue that hasn’t been solved in each of our communities. 3. Continuing our support for military and veteran communities. We believe that together in partnership with military and first responders, we will change the world. Impact communities across America by serving those in need of a hot meal whether homeless, children in schools, at disasters or other times individuals go hungry. As a part of our mission to target the National Fight on Hunger, we aim to make sure no person has to go without a hot meal. We will be serving in communities across America while providing education on solutions to end hunger. We aim to make a positive impact in the lives of first responders by offering friendship, education on BBQ Basics, and the opportunity to partner with us to eliminate hunger across America. Together with our military and veteran communities we will work to eliminate hunger across America by offering friendship, education on BBQ Basics and the opportunity to partner with us to end hunger. 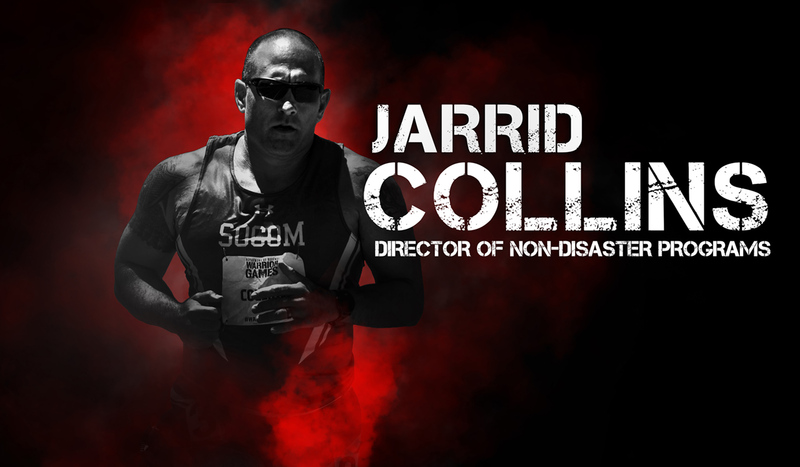 Operation BBQ Relief will cycle, hand cycle and run from LA to Tampa in a movement across America while while carrying the Department of Defense (DoD) Warrior Games torch, ending at the opening of the 2019 DoD Warrior Games. Welcome to BBQ Basic. 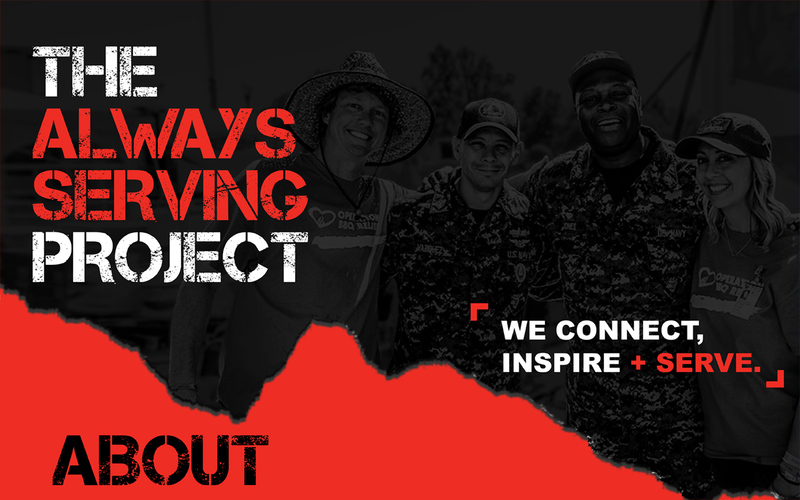 Join us for a two-day event, hosted 8-10 times per year, impacting Military and First Responder communities through the “Hot Meal That Matters” by teaching the art of BBQ to those who serve. Each year from Thanksgiving through the New Year, we will be providing meals to those in need with events during the holiday season. Many things divide people today, which is why we believe in bringing people together by connecting, inspiring and serving communities through the Healing Power of BBQ. 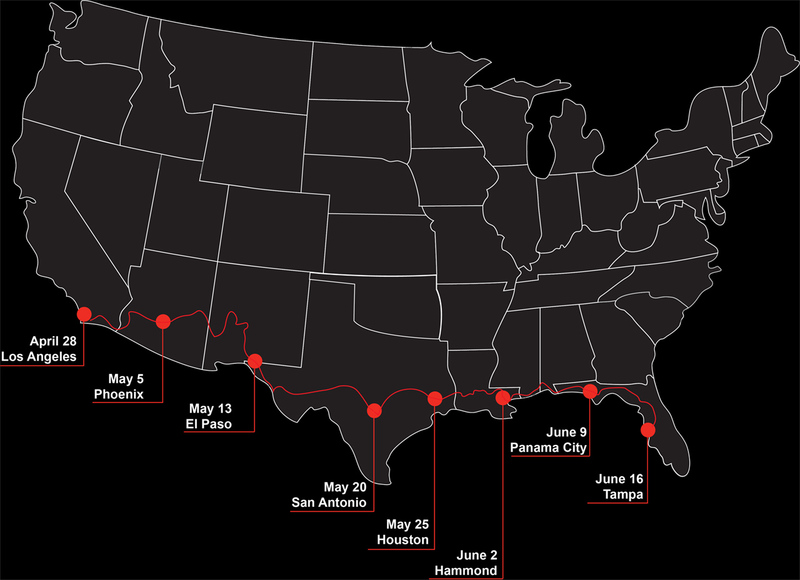 The tour starts on April 28, 2019 in Los Angeles, CA where we will then head to Phoenix, AZ on May 5; El Paso, TX on May 12; San Antonio, TX on May 19; Houston, TX on May 26; Hammond, LA on June 2; Panama City on June 9; and Tampa, FL on June 16. Keep an eye on our social media to see when we’ll be in each city, what we’ll be doing there and how you can help! Connect with us on the tour by running, biking, hand-cycling or serving alongside us. Join the movement. Join the #BreakingBreadTour. Joining us along the way? Whether you’re running, cycling, handcycling or serving at whichever stop you’re able to, make sure to RSVP to our Facebook Events for each week of the tour by clicking the buttons to the left and let your friends know you’ve joined the #BreakingBreadTour. Interested in becoming a sponsor for the Breaking Bread Tour or the Always Serving Project? We’d love to talk to you! For more information, contact us or download the Sponsor Packet PDF below.